They pretty much recreate like half the pilot this way. To celebrate its 200th episode, SG-1 set aside all the space adventuring for some good old fashioned TV pitching. 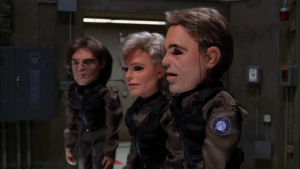 The whole episode becomes about helping keep “Wormhole X-treme,” the show-within-a-show built as a cover for the Stargate program (mirroring real-life conspiracies that SG-1 was doing exactly the same thing), on the air. The episode mostly makes fun of the show and its tropes, but also pokes at Star Trek and, more hilariously, Farscape. And weirdly enough, it ends with a documentary sequence detailing Wormhole X-treme‘s production as that show nears its 200th episode. All that, plus a puppet sequence that has to be seen to be believed. It’s all in the title on this one, really. 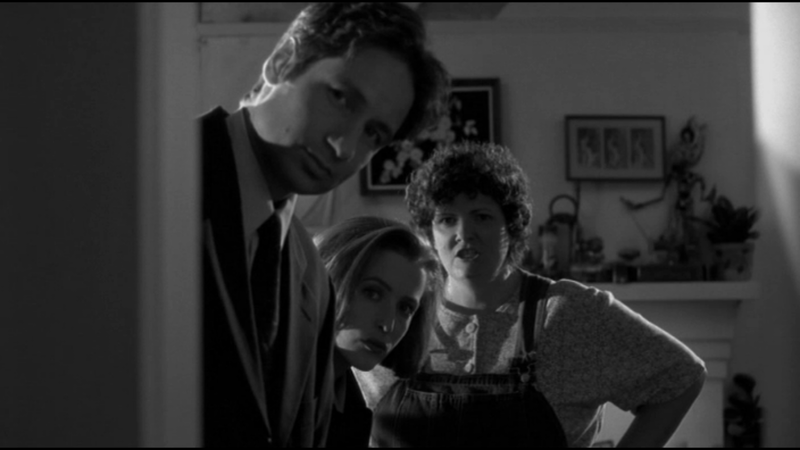 The X-Files decided to do its own take on the old Frankenstein story, riffing on the book’s subtitle “Modern Prometheus,” but it’s more than just a pun–it really takes that whole post-modern thing to heart, as the episode breaks the fourth wall. Mulder sees how the story ends and actually stops to ask for a better ending. The episode itself is in black and white and even features an appearance by Jerry Springer, of all people. It’s totally silly and goofy and not all the paranoid conspiracy horror that The X-Files is known for. Does it work? Well, find out for yourself . 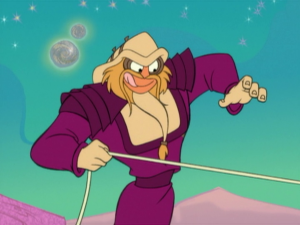 You know, D’Argo actually makes a pretty great Looney Tunes character. What better way to shake things up on your show than just having random sections be animated? “Revenging Angel” manages to get away with it by casting them as some kind of fever dream based on Crichton’s near-death situation. They mostly take the form of Roadrunner/Wile E. Coyote-style chase hijinks, with a few other Looney Tunes bits thrown in for good measure. D’Argo, as the one that put Crichton’s life in jeopardy, ends up as the schemer, while John himself plays the hapless victim and resists the urge for vengeance that Harvey keeps pushing on him. Given that the episode is set in between the end of a very heavy two-parter and an episode predicated on communicating with a dead character, the slapstick animation made for a hilarious, if bizarre, break for the audience. Watch it and just feel the madness pour forth. Rachel in the noir client getup, complete with funky hat and veil. I’ll admit, I’m not the biggest fan of Fringe. I just never really got into it. But what I am a fan of is film noir, and that’s where this episode comes in. Walter is stuck babysitting, somehow, and tells the kid a story to pass the time. The story itself is, naturally, quite exaggerated, taking on these noir-esque tropes, casting Olivia as the detective and Rachel as the client, looking for the missing Peter. Did I mention there’s a musical sequence? because there’s a musical sequence. I bet you never expected to see a musical number in Fringe, but there you go. It’s a weird show. But even for a non fan, the episode is worth a watch, so give it a go if you’ve got the time.